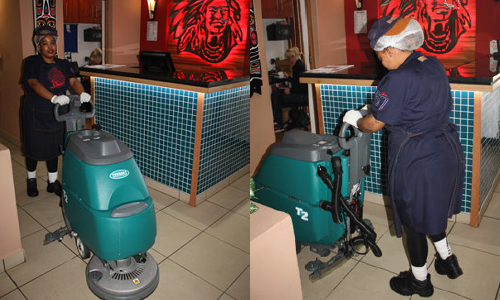 to clean the 800 sqm of floor area twice daily. 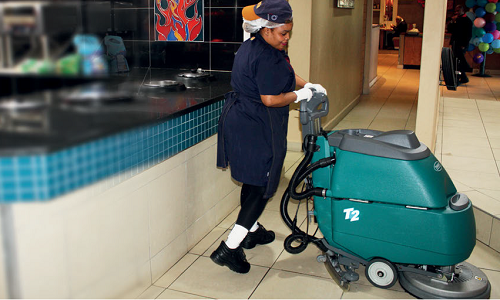 design helps to ensure that excess water and dirt is removed from the floor for minimum risk of accidents. 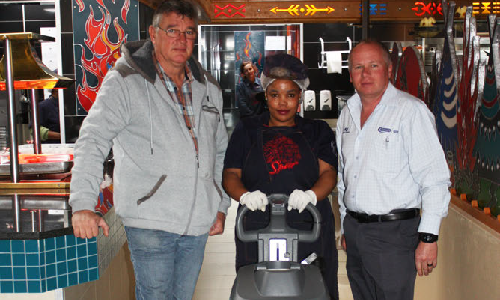 The operator can also replace the blades quickly and easily, when necessary or every 250 hours. 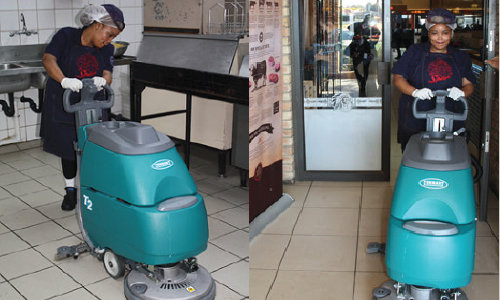 speed delivered through a 0.75 kW brush motor provides powerful cleaning.